Well today I've written blog posts, posted to forums, and a game plan for the hosting of this years NanoWriMo. No fiction so far, and as it's after ten pm probably none today at all. But I wanted to say that with the vitamin D pills that the doc gave me I'm finally starting to come out of my funk, I think. We'll see. 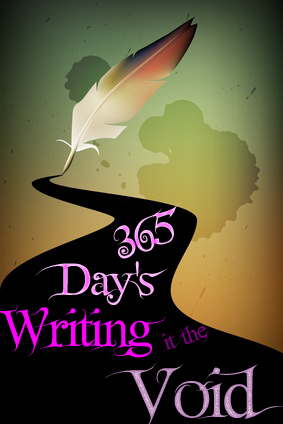 I still plan on trying to spend a consecutive three hundred and sixty five days writing, this year into next. I just didn't start when I thought I would. I've been writing this last month but I haven't been keeping track of my word count, or writing everyday. I'm working on three projects right now. I'm working on a non-fiction, Ravaged Shadow, and The plot for Shadows: A Dusty Covers Novel. I also need to re-plot Rogue Mage. I decided that I didn't like where the story was going and might as well can the draft and start over. 2. Plot a new book for Nano, using some principles I've come a crossed that looked like they might work. 3. If there is time plot out Earth's New Masters. 3. Arse in chair at write-ins acutally writing. 3. If there's time plot Rogue Mage. 3. Plot or write Rogue Mage. That will take me to the end of my challenge. I've sketched out what I plan to do, but this doesn't mean that half of this will happen because lets face it that's a lot of work. If I do this I will have written Three books in My Kayla Blackstone Series finishing it. Three books in My Dragon Shadow Series. I always did like a challenge, and well I need practice editing.